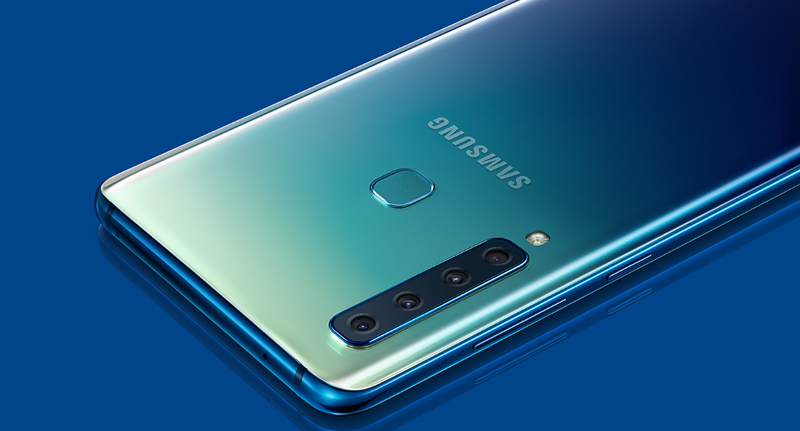 Earlier in September Samsung launched the Galaxy A7 2018 with triple Camera set-up at the Back, at the same time the company also teased the Galaxy A9, the phone really grabbed public attention because of its Quad Rear Camera System. Now Almost after two Months the Company is about to launch the same, The invites for the Launch of Galaxy A9 has already sent to the media with the tagline “4X Fun” which reminds the quad camera system. The event will be held in Gurgaon on 20 November. Starting with the Highlighted quad-camera setup (24MP+8MP+10MP+5MP) The 24MP Sensor is the main camera with f/1.7 aperture lens, the second is a 8MP sensor which has 120 degree ultra wide lens with f/2.4 aperture, Third is the 10MP sensor with a f/2.4 telephoto lens with 2X optical zoom and the last one is 5MP sensor with f/2.2 aperture and depth-sensing. The Camera can detect 19 different scenes and set the settings accordingly. with single 128GB of internal storage, the storage is expandable via microSD card (up to 512GB). Galaxy A9 2018 is a 4G VoLTE, dual Nano SIM Device. It has full day 3800mAh battery with Fast Charging support and It runs on Android 8.0 Oreo. It has plenty of Sensors that include accelerometer, ambient light sensor, gyroscope, magnetometer, proximity sensor, and an RGB light sensor. The phone has Face Unlock feature with helpful Bixby and Samsung Pay Support. Talking about the colors it comes in Bubblegum Pink, Caviar Black, and Lemonade Blue color variants. The Galaxy A9 (2018) will be exclusively sold on Flipkart. Sources of IANS cites industry says that the phone will be priced around Rs. 35,000 in India, but the actual price may vary. Phone has all basic connectivites- Bluetooth 5.0, NFC, FM Radio, Type-C 1.0 Connector, WiFi & GPS. Stay tuned with Alloftop for more on Tech!